This entry was posted in Africa AOPP Mali Data4dev ICT4D Information and Communication Technologies Living Labs Regreening Uncategorized and tagged AOPP Farmers ICT4D Mali Requirements engineering Voice-based ICT services on October 21, 2015 by Anna Bon. 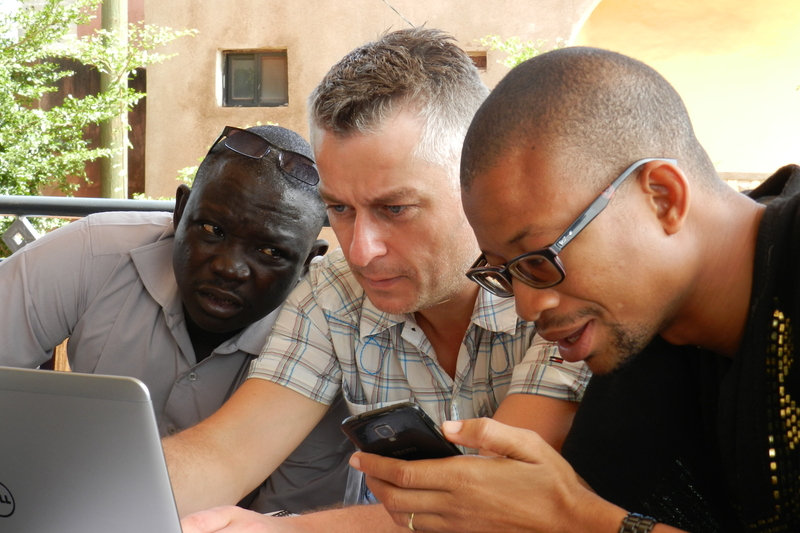 From 9 to 14 October 2015, W4RA team visited Mali, to kick-start a new research project to support farmers to improve resilience and food security. This project, implemented by W4RA and AOPP, the Malian Association of Professional Farmer Organizations is part of the SmartRural research program in the profiling theme of VU ‘The Connected World”. Information and communication are essential for farmers in the Sahel. They need to know the weather forecasts to plan cropping calendars, they need to decide which seeds to plant, according to the demand and supply of seeds on local markets, they need to know when to vaccinate their herds. For most urban people in the world, information is usually just two mouse clicks away, but in rural areas in sub-Saharan Africa there is no internet, there are no computers, there is only spoken information. To make communication and access to information work in this context, new solutions have to be developed, together with the local users. The W4RA team held a Living Lab workshop, and asked the farmers about their goals and needs. To facilitate the analysis of information needs, demos of ICT voice-based applications were demonstrated. 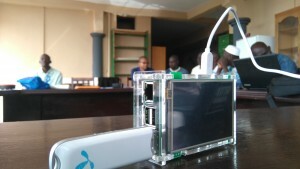 These applications, some of which in local Malian languages such as Bambara and Bomu, were running on the Kasadaka platform, a small lightweight device, especially developed by the VU researchers for development of innovative, contextualized ICT systems in rural regions. The demos enhanced discussions and boosted brainstorming sessions and an avalanche of new ideas from the farmers and VU team. Through this approach the developers team obtains the concise information to model and build new prototypes. At the end of the week new ideas for ICT systems were presented. 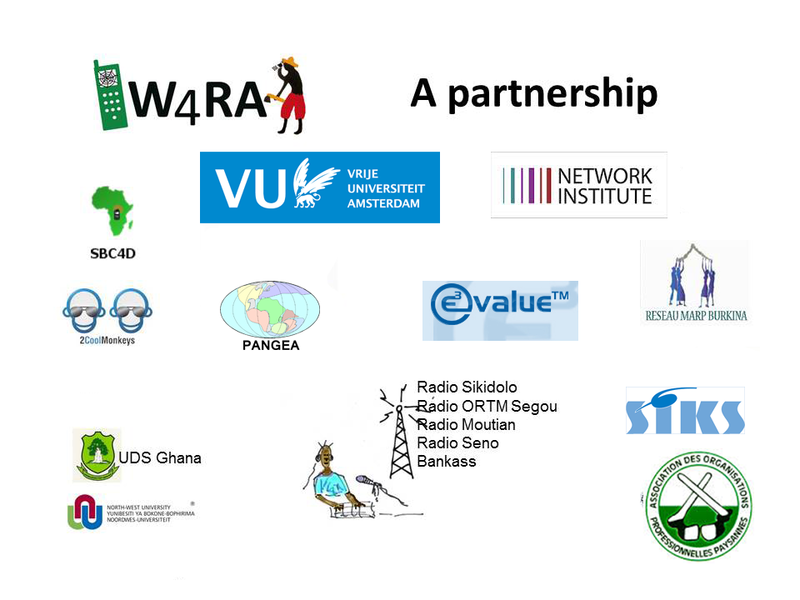 These systems will be further developed by the W4RA team – researchers and students from the Network Institute@VU – (1) an app for meteorological data and rainfall, (2) a voice-based app to advertise seeds on the local radio (3) Senepedia, a communication tool for the AOPP farmer organization (4) DigiVet, a decision support app for animal health (5) M. Jiri, an app to measure the surface of a terrain and the number of trees. The herders from Gao were happy to have an app to count the number of cattle. The name of this new app will be Foro N’A Nafa.